Part of the Delta Light Mover System, the 4' Fixed Ceiling Rail easily attaches to most ceilings with minor drilling. Included are rail joining plates and end stops. 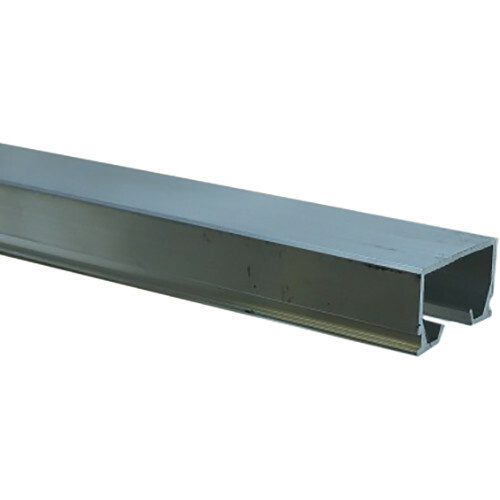 Box Dimensions (LxWxH) 50.0 x 5.0 x 4.0"
Fixed Ceiling Rail (4') is rated 3.0 out of 5 by 2. Rated 1 out of 5 by Allyson from Does not fit Manfrotto scissor lift After spending an about 30mins on the phone with the business and being assure this product would work with my manfroto scissor lift I already had, I got it in (missing the stoppers and the joining rail) only to find it DOES NOT fit the Manfrotto equipment!! Very disappointed. Rated 5 out of 5 by Mary B. from I have purchased before. Wouldn't use anything else.